While you may qualify for both loans, generally there is one option will benefit you more than the other. The main differences between VA loans and conventional loans are the eligibility qualifications, mortgage insurance, and down payment. For example, if you want to qualify for a VA mortgage, you must first get a certificate of eligibility from the Department of Veterans Affairs. They will review your status for military, reserves or National Guard including how long and when you served, how you were discharged (or if you are still in service), or other requirements if you are a surviving spouse of a veteran. However, even if you qualify for the VA Eligibility Certificate, that does not mean your lender will qualify you for the loan. In comparison, a conventional mortgage will have higher credit score and income requirements and require a down payment and mortgage insurance. Surprisingly, the payments on a conventional loan may end up less than a VA loan because these additional requirements lower your overall cost. A conventional loan may also offer you a higher loan amount and other perks that the VA restricts on a Veterans home loan. 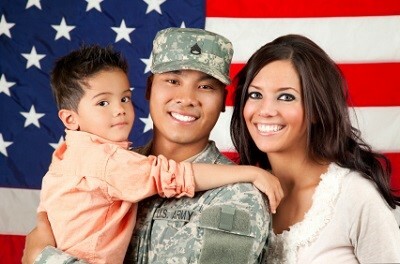 VA loans are guaranteed by the Department of Veteran Affairs. You will only qualify if you meet the eligibility requirements and obtain a Certificate of Eligibility (COE). Conventional Loans are typically secured by the government sponsored enterprises (GSE). VA Home Loan Defined: Mortgage loans guaranteed by the Department of Veteran Affairs that are exclusive to veterans, military reserves, National Guard and surviving spouses of veterans that meet the requirements to obtain a VA Certificate of Eligibility. Passed by congress and signed by President Franklin D. Roosevelt as the Servicemen’s Readjustment Act in 1944, this program is also known as the GI Bill of Rights. The main purpose of a VA loan is to provide veterans, active duty members, and surviving spouses the opportunity to own a home without a down payment. One of the many perks of the program is getting 100% financing on your home purchase. This means no down payment is required. Other advantages include leniency on credit history and scores from many VA approved lenders, competitively low interest rates, no prepayment penalty, and the ability to negotiate closing costs, amongst others. One of the major disadvantages of a VA loan is the inclusion of a funding fee. This charge amounts to between 1.25 – 3% of the total loan cost, depending on the length of the veteran’s service. This charge makes the loan slightly less affordable, and while the funding fee may be added to the loan balance rather than being paid up-front, this can increase a loan’s total cost by over $10,000 dollars on home loans over $100,000, when factoring in interest over the entire loan term. However, some borrowers may be exempt from the funding fee, including veterans who have received VA compensation for disabilities related to service, veterans who would be eligible for compensation for disabilities related to service, and surviving spouses of veterans who died in service or as a result of a disability related to service. Other VA loan disadvantages include a cap or maximum loan amount of $417,500 (in most areas), some restrictions regarding eligible property types and fewer repayment options. Conventional loans have long stood as the most popular financing option for the majority of borrowers. While the 30-year fixed rate conventional mortgage remains an industry standard, conventional loan popularity has decreased due to competition with FHA loans; however, banks and brokers frequently prefer to work with borrowers of conventional mortgages, as these loans have stricter requirements and borrowers who qualify thus tend to be less risky investments for hesitant lenders. Conventional loans offer borrowers a surplus of options available in terms of loan period length, interest rates, and maximum loan limits. This flexibility allows you to customize your mortgages to your circumstances and may be preferable to a rigid set of loan guidelines. Moreover, conventional loans apply for all types of property unlike many government-insured loans. Large down payments disqualify conventional loans for some borrowers, and many borrowers have difficulty qualifying because of stricter qualifications on credit, income, financial and employment history. Furthermore, you may have difficulty in transferring a conventional mortgage loan, making it a significant commitment when compared to transferable mortgages. If you do not want to make a large down payment elect for a VA home loan. If you are making a down payment of 20% or more on a loan, consider a conventional mortgage loan. If you are not eligible for a VA loan you may want to consider an FHA loan before a conventional mortgage to obtain a lower down payment. When searching for a VA mortgage loan, always compare rates and lenders before making a commitment. While loans insured by the Department of Veteran Affairs tend to have lower interest rates than most other types of loans, anyone considering a VA loan should shop around for the best rates. Even a fractional difference between lenders could translate to thousands of dollars over the term of a loan. If you are considering a VA loan, start shopping today by simply filling out Lender411's VA Request a Quote form on the top of the page.